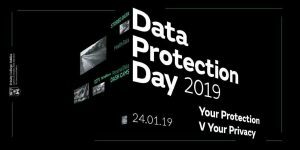 Data Protection Day has taken place on 28 January 2019 since it was launched in 2006 by the Council of Europe. It is marked around the world with events around that date to discuss and highlight privacy risks and solutions. 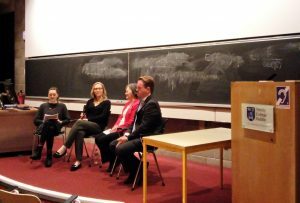 On 24 January 2019 Rossa McMahon joined a panel of experts at the Robert Emmet Theatre in Trinity College Dublin for a discussion to mark the event. Organised by TCD’s Information Compliance Office and Science Gallery Dublin the panel discussion was chaired by Elaine Burke (SiliconRepublic.com) and included Dr Maria Helen Murphy (Maynooth University) and Professor Jane Grimson (TCD). The panel discussed the balancing of personal rights to privacy and data protection against the competing rights and interests of security, law enforcement and public services. Rossa McMahon discussed the issues and concerns that have arisen in the implementation of large-scale State projects like community surveillance, electronic health identifiers and records and the Public Services Card.